Light is everything when it comes to photography. These three photographs were taken on the same evening. To the east towards the coastal mountain range, the weather was thunder and lightning. Along the coast, the clouds created a dramatic sky for the coming sunset. 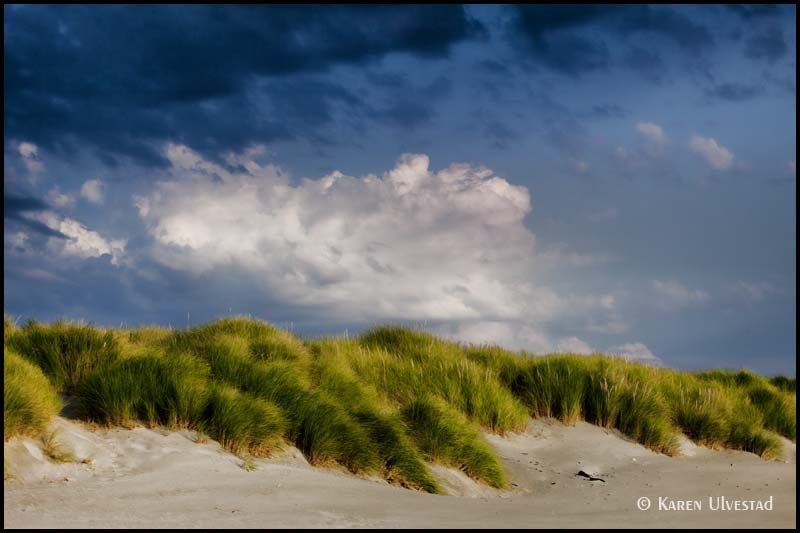 The top photo shows the warmth of the late day light in the yellow tone to the green grass on the sand dunes. The dramatic clouds were either dark grey or white, and contrasted against the brilliant blue sky. 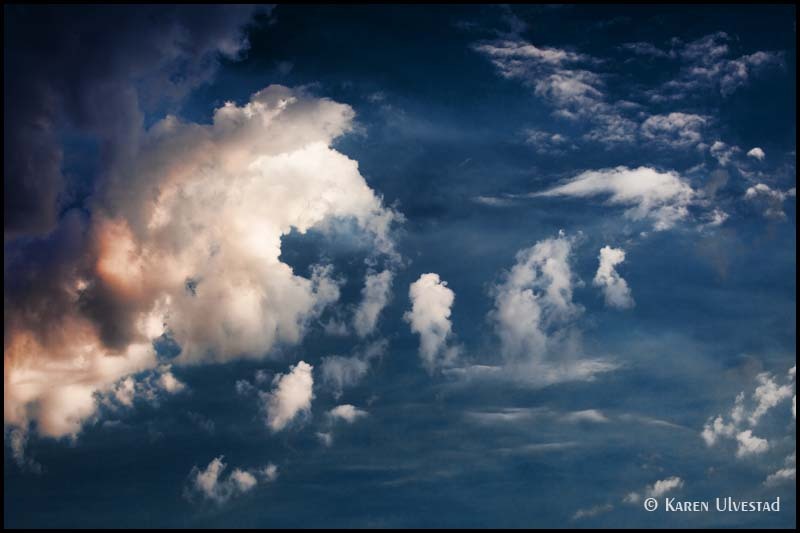 The photograph below is a simple composition of the sky and clouds. One of the tools used for the blue sky is a polarizing filter. For digital cameras, the filter must be a circular polarizing filter. The white balance on these images is daylight, or simply use the AUTO setting. Minor adjustments can be made in the Digital Darkroom on the computer. The bottom photograph is the sun peeking through the dramatic clouds. The sun starred because of the large aperture setting on the camera. Each of these photos was shot on the manual setting for maximum control over the final image. Remember, using manual settings for exposure give total control over the final photograph. I am available for private consultations, lessons, and individual/group instruction (both in person and online). Love your easy to read and to the point articles; lovely photos, especially the last one! It was an amazing evening, and the clouds. . .there are no words to describe them!